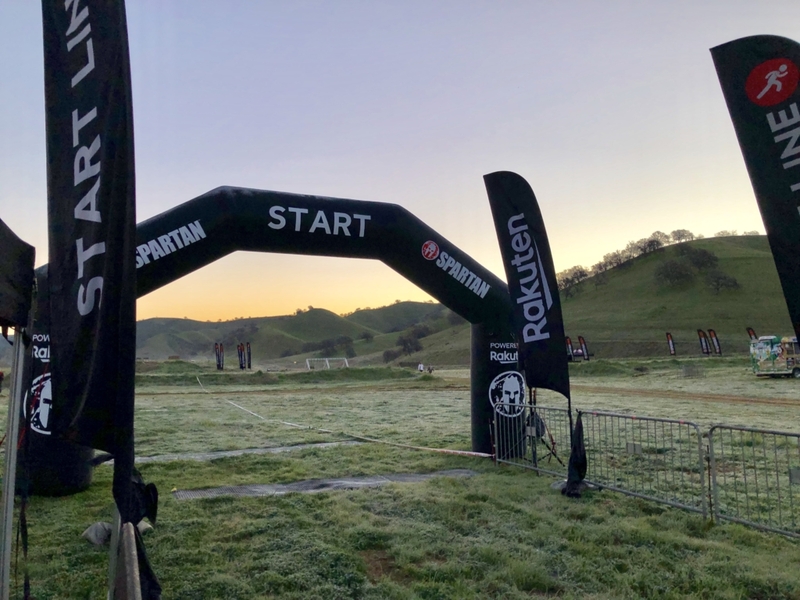 If you were looking for another flat west coast Spartan Race in 2019, the Diablo Grande Super and Sprint weekend was probably a rude awakening. Not only did the amount of vertical incline per race increase significantly at the gorgeous venue outside of San Jose, but many of our fellow racers received a bit of a kick in the booty to ramp up their hill training before the Mountain Series kicks off later this year! This was my first San Jose-area Spartan visit, but the Diablo Grande venue has been a staple in the central California area for four years. I can see why this venue is a repeat favorite for racers around the world. Related: Wait until you see the different flags represented on the elite podium, later in the article. 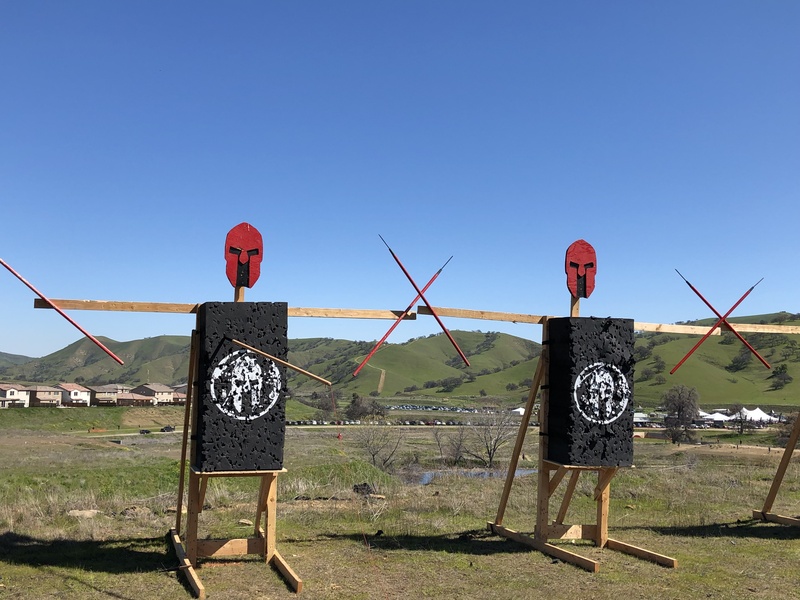 While many of the nation’s top competitors flew to the swamps of Alabama for the second leg of the US Championship Series, there was no shortage of competition or excitement in the hills of Diablo Grande, over a MOSTLY warm weekend. I can’t stress enough how beautiful this venue was. The rolling hills, monstrous mountain climbs and soft ground were ideal for those looking to prove their training was up to par. beginning with the Super on Saturday, participants toed a chilly start line, dashing out on the first half mile, which was extremely flat – a perfect warm up after cooling down in the corral. However, that fast start wouldn’t last long, as racers were introduced to a Big Bear-reminiscent hill climb, jump-starting heart rates and slowing the mileage pace significantly. All day, Spartans paced up hundreds of feet in elevation for the first 2 miles or so, in some areas, at a 45-degree incline. Weaving through the valley, participants tackled Bender and a six-foot wall, before making their way back to the festival area, where the Hercules Hoist and Multirig were patiently waiting, respectively. The grip-challenging rig featured the standard Super-length configuration, which is comprised of a few rings, a long bar, and a few more rings before the bell. Spartan course designers were grip strength-happy in the first half of the course, as the Atlas Carry, Rope Climb and Bucket Carry quickly followed one another. The Bucket Carry was a bit longer than it has been in the last few West Coast races, and there was a significant short, yet high vertical gain and loss section. The spear followed, and then participants once again met my old nemesis – Barbed Wire Crawl 2! BWC2 was unlike any low crawl west coast racers have seen this year. We’re talking very low wire and extreme uphill incline. At approximately 100 feet long, racers had a tough time managing their way up the grassy (during the super) and torn apart (during the sprint) crawl. Rumor has it, the wires were lower on Sunday! Super runners were in for a treat soon thereafter, with a Spartan Race obstacle debut: The Pipe Lair. Do you remember Discovery Zone? That indoor jungle gym, where you basically crawled through urine-soaked mazes? That’s what Pipe Lair reminded me of, without the pee of course. The obstacle consisted of multiple lanes of a gauntlet of piping, where participant chose one of the equally laid out sections and traversed across, going up and over pipes. You were not allowed to touch the ground or the netting covering the obstacle. This obstacle was similar to the newly introduced Helix, in a sense that it wasn’t extremely difficult, but a poorly calculated move could send you to the burpee zone. For taller racers like me, this was definitely more of a challenge, with the small spaces. But what goes up, must come down, and boy, that downward section was fast! Racers traveled at the same decline angle, resulting in much faster mile paces for this point in the race! An overall mud-less course, the dunk wall rounded out the Super and Sprint, immediately followed by the slip wall and the inverted wall, before the finish line. Once again, the fire jump was left out of this course due to burn bans in California. Luckily, the festival had a great photo opportunity with a fire jump backdrop! One exciting feature of the Sunday Sprint was the course cutting out those terrifying mountain climbs. It was a much faster course, with a lot less vertical gain. Top runners had the advantage Sunday No complaints here, that’s for sure! Congratulations to the weekend’s winners! As stated above, this was my first attempt at Diablo Grande. From a rookie standpoint, this was an extremely exciting course. Even with the Alabama Championship Race running at the same time, the competition was strong in the Elite and Age Group brackets. If you took a few minutes to enjoy the absolutely gorgeous scenery, you couldn’t help but be blown away by the rolling hills. We even lucked out with a clear sky the entire weekend. Yeah, it was cold for the first few heats, but the afternoons were in the high 60s/low 70s. I know it might sound crazy, but I’m actually not a fan of muddy races. Luckily for me, there was a tremendous lack of it. The rolling mud obstacle was listed at number two on the map, but it had little impact on racers. I would highly recommend the Diablo Grande Spartan Super/Sprint if they schedule it again next year.